Out in support of their great new album and first in six years, Solid States, Washington-bred power pop and alt rock pioneers The Posies are set to return to Nashville tonight, Sept. 26 for the first time in years to perform at The Basement with locals Benjamin A. Harper and Montessori Dads. 30 years into their career, the beloved duo feel as fresh and acclaimed as ever, if you want a chance to see them live in one of the city’s best, most intimate spaces, you can still grab tickets right here. Read on for details! The Posies formed while still in their teens, 30 years ago in Bellingham, Washington, quickly gaining buzz throughout the Pacific Northwest thanks to their independently released 1988 debut, Failure, adopting a poppier, pleasant alt rock sound that separated them from the darker, angstier grunge movement of the time. Transitioning to the major label world, the band found breakout success from 1990’s Dear 23 and 1993’s Frosting of the Beater, earning critical acclaim and commercial appeal stateside and in Europe, all the while undergoing a series of lineup changes around the core duo of Jon Auer and Ken Stringfellow. By the late ’90s, the pair, who also took part in the second iteration of Big Star from 1993-2010, had drifted apart professionally, focusing on solo and side projects, before reconvening in 2005 for a refreshed perspective and new LP, Every Kind of Light. In the decade since, The Posies, now regarded as something of modern alt rock legends, have released two more efforts, 2010’s Blood/Candy, and, this year, their eighth full-length Solid States, which arrived in the wake of the untimely death of both drummer Darius Minwalla and bassist Joe Skyward. Sounding as essential, soulful, smart, and relevant as ever, the duo, plus new live drummer Frankie Siragusa, have the cred and catalogue to provide you with an unforgettable night full of decades of amazing material, so don’t miss them in such an intimate space! Not to be confused with that other Ben Harper, Nashville singer-songwriter Benjamin A. Harper (billed under his full name for solo releases for that very reason), released his first solo effort in years, and first full-length ever, Get Thee Behind Me, last summer. A real departure from Harper’s work with popular local retro soul/rock outfit Magnolia Sons, the LP adopts a sun-soaked, ’60s-inspried, experimental, and layered flavor of indie pop, and is a definite gem amidst the local musical landscape. Ben’s fantastic in any context, but getting to see him play a crop of fresh solo originals is a really exciting and welcome new outlet. Self-described as a “rock band that’s not afraid to sing about the issues facing middle-class, middle-aged, American men,” Nashville’s Montessori Dads released their debut album, Black & White & Pink, last year. Adopting an alt/power pop sound not far off from The Posies and Big Star, the record was produced by Mike Marsh (The Avett Brothers, Dashboard Confessional) and mixed by The Poses’ own Jon Auer. Needless to say, they’re the perfect choice to open this show, so be there early to see the Dads in action! 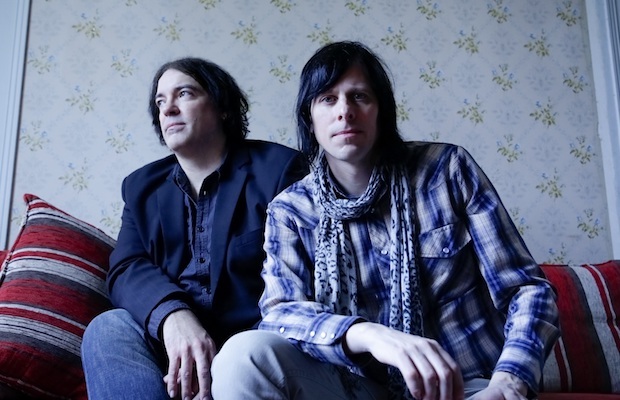 The Posies, Benjamin A. Harper, and Montessori Dads will perform tonight, Sept. 26 at The Basement. The show is 21+, begins at 8 p.m. (doors at 7:30 p.m.), and tickets are available to purchase for $15.